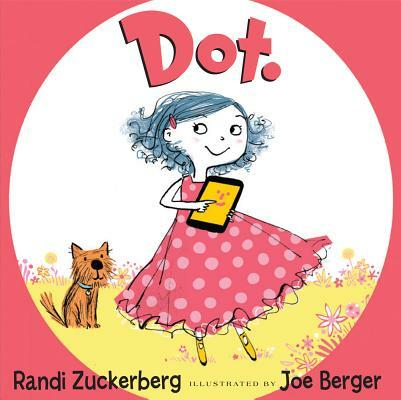 Meet Dot in this debut picture book by CEO and founder of Zuckerberg Media, editor-in-chief of Dot Complicated, and former Marketing Director of Facebook, Randi Zuckerberg! Dot's a spunky little girl well versed in electronic devices—she’s a technophile. She knows how to tap . . . to swipe . . . to share . . . and she pays little attention to anything else. Dot's tech-savvy expertise, mingled with her resourceful imagination, proves Dot knows lots and lots. But will she be able to unplug for one second to tap…swipe…and share with her real-life friends? Find out in this wonderful story about the day when Dot sets off on an interactive adventure with the world surrounding her. Joe Berger is a children's author, illustrator, and cartoonist. In 2011 he was a winner of Booktrust's Best New Illustrators Award. He also makes prize-winning animated short films and title sequences and is cocreator of the Berger & Wyse food cartoon. Joe was the official illustrator for World Book Day 2010. He lives in Bristol, England, with his wife and three daughters.